Acupuncture is a part of Chinese Medicine. It is a holistic approach to life and their outlook inspired us to immerse totally into it, and 25 years later our life is still colored and fascinated by it. Chinese Medicine sees that humans are part of nature, everything is interrelated supporting and feeding from each other. If one part is strong and striving other systems are invigorated by it. If one area is blocked or weak it will be felt at another end. Everything is alive and filled and driven by energy connected to the Whole ‘the Tao‘. It is amazing to see that science now a days come to the same conclusion, what Chinese Medicine knew already 5000 years ago inspired by sages like Lao Tzu and Confucius. It evolved through the wisdom of the ancient sages. In their meditation they could feel the energy flow along the meridians and see the acupuncture points, which are the portals to the meridians. If you look within, you can see all the acupuncture points surrounding you like a night sky full of stars. Acupuncture is using these energy lines in the body, which are connecting everything with each other. The meridians or energy pathways are connected to each other and to the related organs, tissue and senses. By stimulating a certain acupuncture point much more gets activated than only the area – the whole related body system gets rebalanced into its normal, healthy flowing rhythm. Eyes problems like Macular Degeneration, Diabetic Retinopathy, Retinitis pigmentosa, Glaucoma, etc. Muscle-skeletal issues like rotator calf, TMJ, Plantar Fasciitis, headaches,Tendonitis, knee issues, back pain, slipped discs, neuropathies, etc. To make an appointment for Chinese acupuncture and to get to know our acupuncturists, please visit our About Us page or call for an appointment: 808-575-9888. There are more than 720 known acupuncture points and there are specific symptoms that indicate which ones need to be activated. 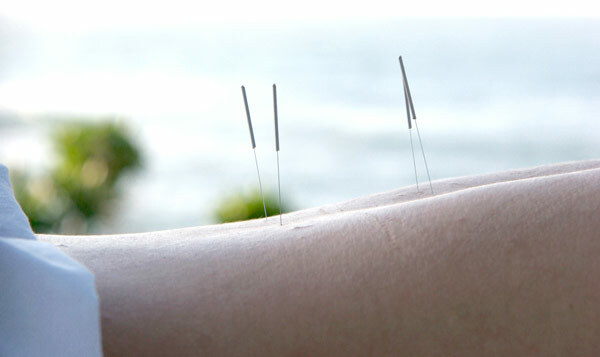 Acupuncture balances the energy flow in the meridian system of the body.